WASHINGTON — The U.S. Senate on Dec. 11 confirmed via voice vote the nomination of Adm. Harry B. Harris Jr. as commander of the U.S. Pacific Command. Harris will be in charge of all U.S. military forces (Army, Navy, Marine Corps, and Air Force) operating in the Pacific region. The Pacific Command is one of six global combatant commands and covers over 105 million square miles. Currently the highest-ranking Japanese American in the U.S. military, Harris is the son of a Navy petty officer and an Issei mother, and credits his mother with instilling in him a sense of giri (duty). He has served as the commander of the U.S. Navy’s Pacific Fleet since October 2013. In his 36-year career, he has served in every geographic combat command region and has been highly decorated with numerous awards, including two Distinguished Service Medals, three Defense Superior Service Medals, three Legions of Merit, and two Bronze Stars. On Oct. 2, JACL Executive Director Priscilla Ouchida sent the following letter of support for Harris’ nomination to Sen. Carl Levin (D-Mich.), chair of the Senate Committee on Armed Services. 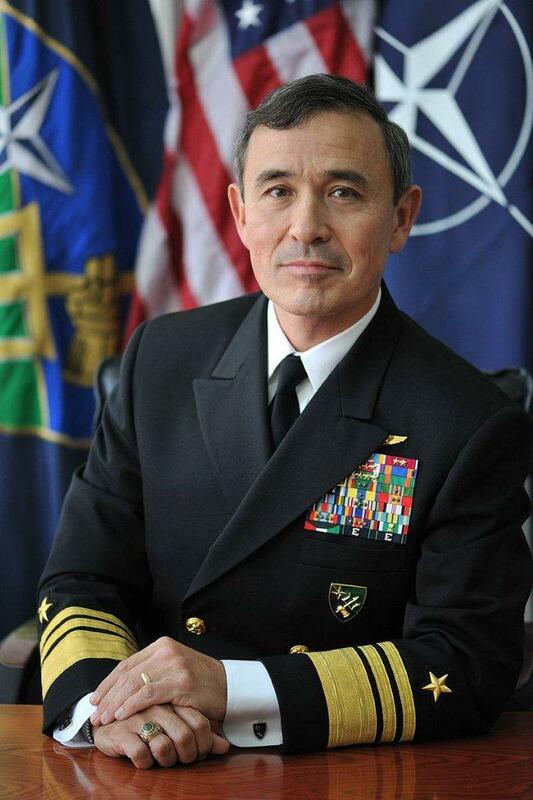 The Japanese American Citizens League, the largest and oldest Asian American civil rights organization in the nation, strongly supports the confirmation of Adm. Harry B. Harris Jr. as head of the U.S. Pacific Command. The Japanese American Citizens League was founded in 1929, and today represents 103 chapters in 23 states and Japan. The JACL is on the Executive Committee of the Leadership Conference on Civil and Human Rights, and serves on the Executive Committee of the National Council of Asian Pacific Americans. Prior to Harris’ promotion to admiral and commander of the U.S. Pacific Fleet, Harris served as the assistant to the chairman of the Joint Chiefs of Staff at the Pentagon, acting as the chairman’s direct representative to the secretary of state and as the U.S. roadmap monitor for the Mideast peace process. He has served in every geographic combatant command region, and participated in several key operations. Harris’ staff assignments include aide to commander, U.S. Naval Forces Japan, chief speech writer for the chairman of the JCS, and three tours on the Navy staff, including action officer in the Strategic Concepts Branch, director for the Current Operations and Anti-Terrorism/Force Protection Division, and deputy CNO for Communication Networks. To highlight his military accomplishments, Adm. Harris’ personal decorations include the Defense Distinguished Service Medal, Distinguished Service Medal (two awards), Defense Superior Service Medal (three awards), Legion of Merit (three awards), the Bronze Star (two awards), the Air Medal (one strike/fight), the Navy League’s Stephen Decatur and the State Department’s Distinguished Honor Award. On Sept. 22, 2014, the president nominated Adm. Harris to head the U.S. Pacific command. Adm. Harris has served the country with distinction. Based on his stellar past service record and deep understanding of the Pacific Region, the Japanese American Citizens League encourages your confirmation of Adm. Harry B. Harris Jr.